Smack-bang in the middle of what is already an action-packed November for the Switch, everyone’s favourite battle car sports game is finally making its release. 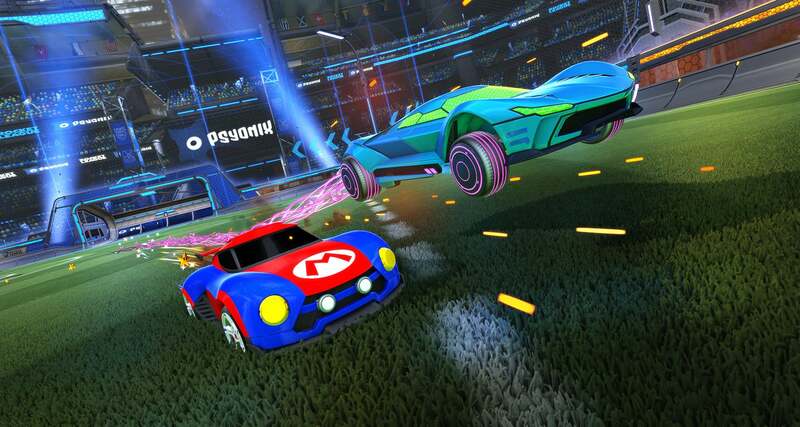 Featuring THREE exclusive battle cars in ‘Mario NSR,’ ‘Luigi NSR’ and ‘Samus’ Gunship’, Rocket League will be dropping onto the Switch on November 14th for an absolute bargain price of $19.99 USD (or regional equivalent). The game launches with all of the modes you’ve come to know and love, as well as cross-platform play with the PC and Xbox One versions. This makes an action-packed month for the Switch, launching just days after Sonic Forces and DOOM, and just before L.A. Noire and The Elder Scrolls V: Skyrim. There’s no letting up!